The fairly cold winter in Finland has come to an end, which means one thing: a relaxing, warm summer. 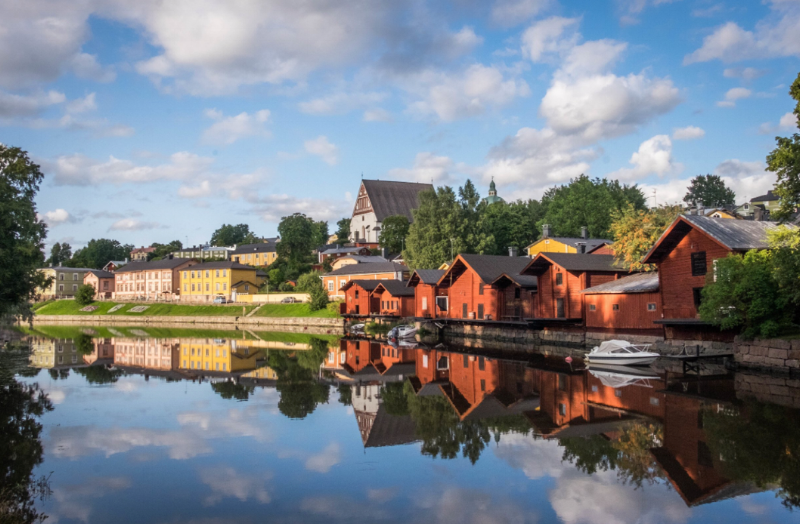 White nights, blue waters, long days, fresh cuisine and lakefront cottages are just a few items that fit into a Finland summer. In celebration of the turn of the season we’ve put together keypiecesthat make up a summer in the Finnish country. The awakening of nature in the north of Finland leaves the country green all summer long. Thousands of birds migrate from southern countries and fill the trees with life. Cities throughout the country echo with a surprising silence as most Finns enjoy a four to six week vacation on the countryside near sun and water. A Finnish summer is a time to relax and appreciate the water whether it’s swimming, boating or fishing. One in three Finnish families own a boat, proving plenty of opportunities to enjoy the water. Eating localis a must in the warmer months. Vegetables, sausage and fish on the smoker find their way to an outside summer cottage table. The country is filled with an abundance of fresh produce in the summertime, which Finns pride themselves on using all that nature has to offer. Midsummer, the longest day of the year, setts off a series of celebrations around the country. Finns celebrate with gatherings in the countryside surrounded by giant bonfires, aromatic birch branches and accordions playing Finnish tunes. Before and after Midsummer, the country flourishes with culture, art, theatre, concerts, traditional and religious celebrations. Have you started booking your cottage by the lakeside yet?